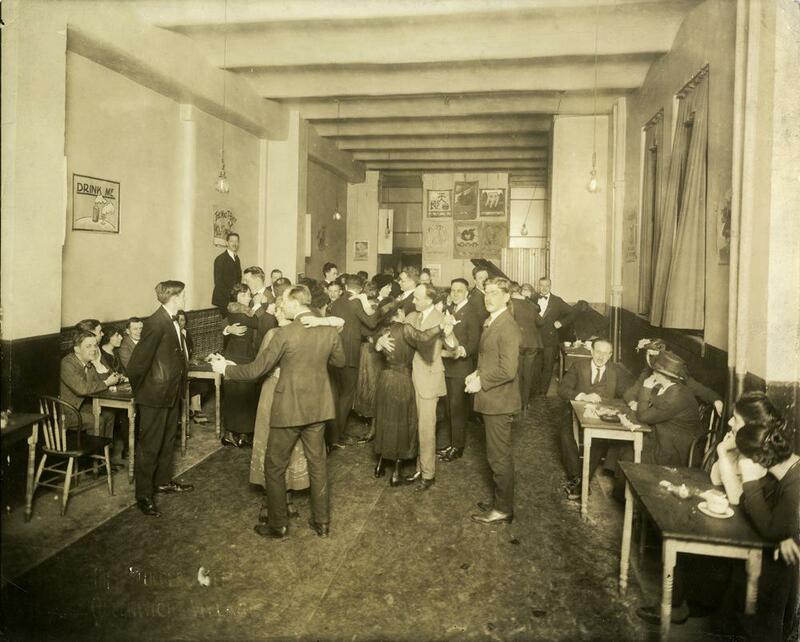 History of Greenwich Village: Jessie Tarbox Beals photographs of parties. In a series of photographs taken between 1910 and 1920, Jessie Tarbox Beals documented the parties and get-togethers of bohemian Greenwich Village. Beals also took posed portraits of denizens of the Village, some of which she sold as postcards to curiosity-seekers interested in seeing how the famously “liberated” men and women of the Village conducted their lives. These group shots of gatherings are the most casual of her Village images. Beals was a rarity among American female photographers at the time, because she considered herself a news photographer as well as a portrait artist. Earlier in her career, she had sought the physically demanding, peripetatic life of a photojournalist. During her midlife New York City phase (she lived in the city from 1907 to 1928) Beals combined journalistic and portrait work, spreading herself across genres in order to maximize financial stability. During the decade when Beals produced these images, her personal life changed dramatically. She began the 1910s in an unhappy marriage with husband and collaborator Alfred Tennyson Beals. In 1917, the two separated, and Jessie Tarbox Beals moved to the Village, where she opened an art gallery in Sheridan Square. While she didn’t consistently live or maintain a studio in the Village-proper throughout the 1920s, she continued to participate in, and document, its free-thinking culture. 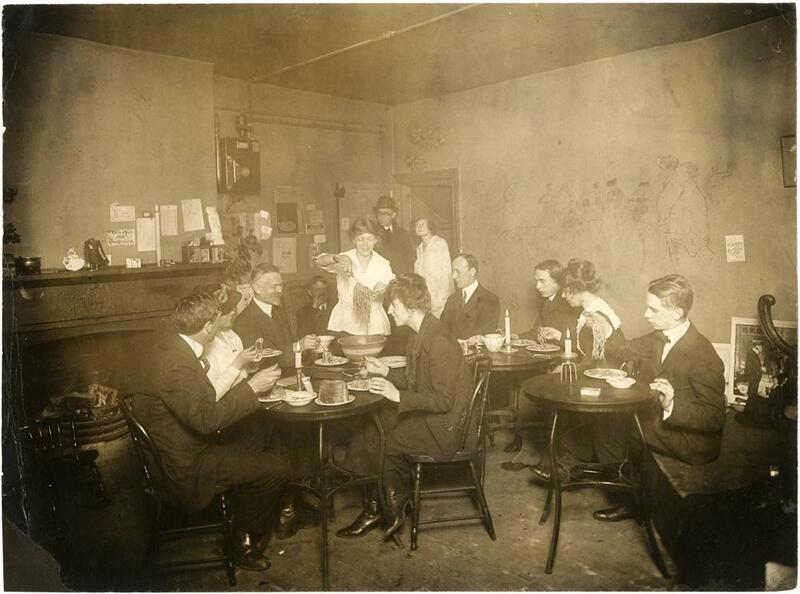 Spaghetti dinner in Grace Godwin’s garret, 58 Washington Square South, 1917-1918; photograph by Jessie Tarbox Beals. Courtesy of the New York Historical Society. 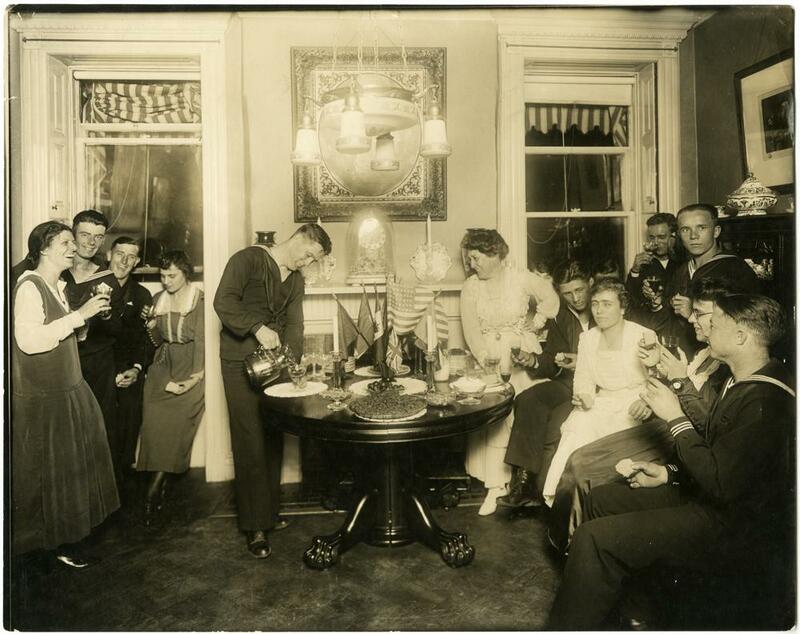 Alice Foote MacDougal entertaining a group of sailors in her small apartment, circa 1917-1918; photograph by Jessie Tarbox Beals. Dancing in Charley Reed’s Purple Pup, 186 West Fourth Street, Greenwich Village, circa 1910-1920; photograph by Jessie Tarbox Beals. 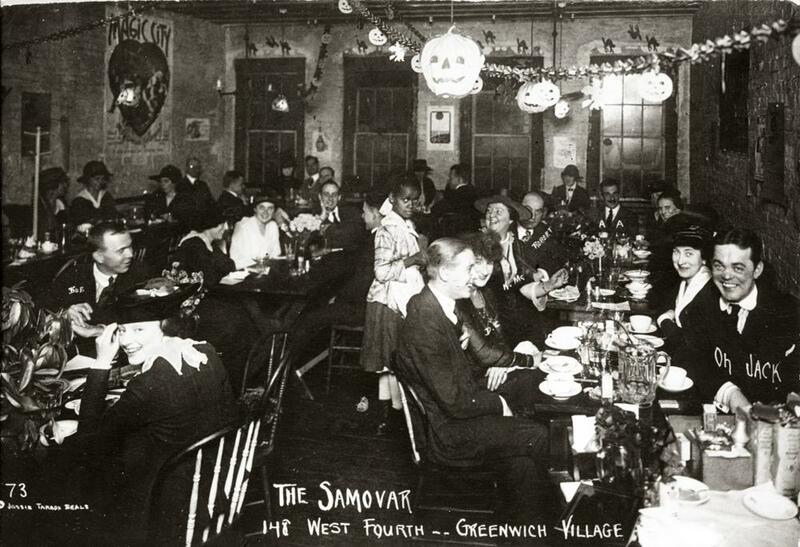 The Samovar, West Fourth Street; photograph by Jessie Tarbox Beals. 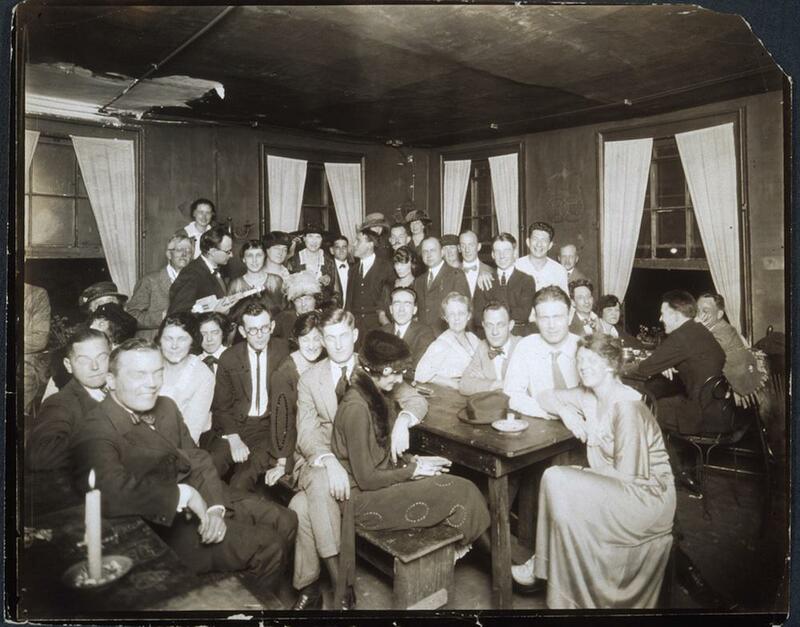 Group portrait, indoors, of people gathered at the Garrett Coffee House, circa 1912-1917; photograph by Jessie Tarbox Beals. Via Harvard’s Schlesinger Library, on Flickr.